When setting up a vivarium for a corn snake, one of the most crucial features is the lighting. Choosing the correct type of lighting is essential before introducing your corn snake into its new home. But, with so many different types of lighting available on the market, it can often be difficult to select the best product. 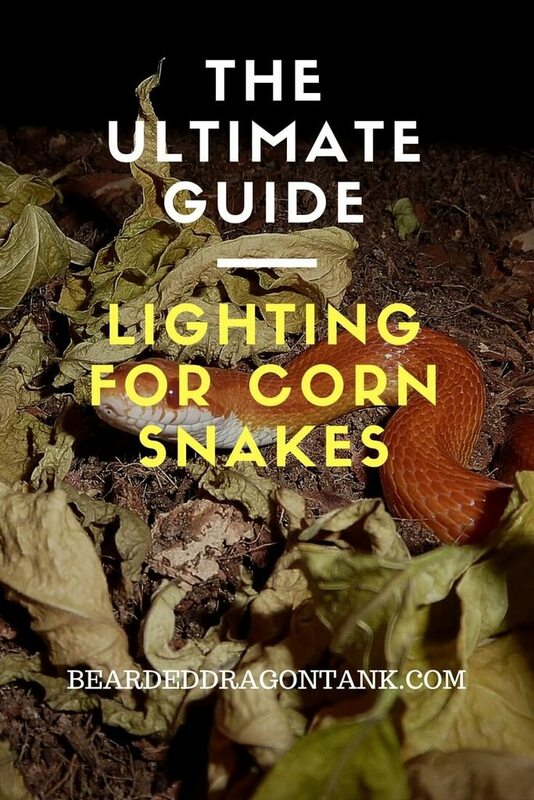 Fortunately, choosing lighting for your vivarium is relatively easy when you understand what corn snakes need from their immediate environment. With a little knowledge of the importance of corn snakes lighting and heating, you can have your vivarium complete and set up in no time. 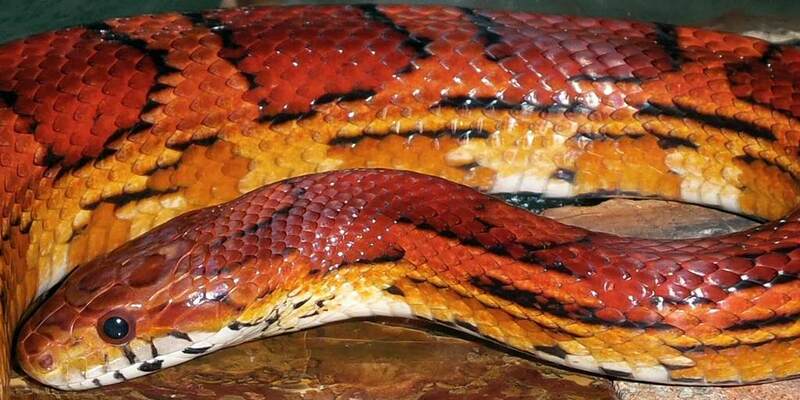 ​Why Do Corn Snakes Have Lighting in Their Vivarium? Corn snakes are naturally cold blooded and take their heat from their immediate surroundings. In the wild, these reptiles can soak up the sun and then move to the shade to regulate their body temperature. However, in captivity, they rely on their owners to provide both adequate lighting and subsequent shade by means of imitating this natural process. The only way to achieve this desired method in a vivarium is to use the correct lighting. Do Corn Snakes Need Light? Although it is not essential, and snakes may survive in a poorly lit vivarium, to be able to create the most suitable habitat for your corn snake is to be considered a responsible owner. So, yes! You should always provide a light source for your snake. Lighting provides warmth for corn snakes. If we think about the sun, and the warmth it provides to these delightful reptiles out in the wild, then it should seem self-explanatory that we would want to recreate this environment in the homes we provide for them! Can I Use Natural Light to Control My Corn Snakes Environment? If your vivarium gains a lot of natural sunlight during the day, you may be tempted to use this instead of artificial lighting. Whilst this is a great use of natural resources, just be careful to ensure that your tank does not overheat and never place it in direct sunlight. Natural lighting doesn’t always make it easy for a corn snake to regulate their temperature, which can lead to many health problems. It is therefore recommended to look at buying a UV light and perhaps alternating it with natural light if you can do so. This will mean a lot of care and checking on your part, but for the closet way to mimic your corn snake’s natural habitat, this is a possibility. Ensure a thermometer is visible always for both UV lighting and natural lighting, just to keep an accurate watch over the temperature. Do Corn Snakes Need Both Lighting and Heating? Do not feel overwhelmed by a corn snake´s needs for lighting and heating. In all honesty, your new addition deserves both! Corn snake heating can be in the form of a heat mat or a heat lamp. Both methods are perfect for heating up a specific section of the vivarium, but also allowing your corn snake to move away from them when he or she has had enough. However you should never use a heat mat as the only heat source in your tank. I recommend using it to maintain the recommended temperature during the night. During the day you should offer a basking spot (heat lamp). A light is a great way for your corn snake to distinguish between night time and day time hours. Many owners find that their corn snake understands the differences when using a UV light when it is on during the day and switched off in the evening. Subsequently, it is suggested that understanding this difference can determine how your snake behaves; for example, being more active during one period than the other. You should also switch off the tank light in the evening to drop the temperature overnight. You need a temperature of 24° to 28°c during they day, 35C below the heat lamp. Overnight the temperature should drop around 5C. Because you are effectively using an electrical device in your snake’s home, it is essential that you regularly maintain and keep up with the lights running. Visual checks are the simplest way to ensure all is okay. Check that bulbs are still working, that there is no flickering and that the holders are still in place. An experienced corn snake owner will no doubt be able to tell you of the numerous times their corn snake has wrapped themselves around the UV light fixture, causing it to fall from its position! Be sure to secure the fixtures and cover the light with a fine wire cage to prevent your snake from getting burnt on the light itself. Also, be sure to secure any lose wires, so your corn snake doesn’t get tangled up in them! Timers are perfect for use in a vivarium. If you can put your UV lighting on timer, you can automatically create a morning and night time scenario every day in your vivarium, without having to remember to turn it on and off yourself! A timer will switch the light on in the morning and turn them off in the evening, creating a routine for your reptile. A timer is also perfect for use on a heat lamp. Heat lamps can often become overpowering when left on for too many hours in a day. A timer can solve this problem, allowing the vivarium temperature to regulate itself to the desired temperature.